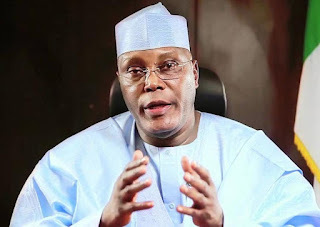 Former Vice President and presidential aspirant of the Peoples Democratic Party, (PDP), Alhaji Atiku Abubakar has revealed that he will end the lingering Boko Haram crisis and herdsmen/farmers’ clashes if elected the president of the Federal Republic of Nigeria (FRN). Atiku made this known on Tuesday while addressing PDP supporters in Borno at the Forshams Hall, Maiduguri. “If elected as President of the Federal Republic of Nigeria, i will not allow any commander to tell me stories, we must end insurgency within shortest possible time because the insurgency has crippled everything in the Northeast”, he added. The Waziri Adamawa also promised to address poverty which is prevalent in the Northeast. Meanwhile, the Director General (DG), Atiku Campaign Organization (ACO), Gbenga Daniel said the former Vice President and his entourage were in Maiduguri as part of the ongoing consultation tour with PDP stakeholders across the country. He, therefore, called on the people of the state to give their block votes and massive support to Atiku, who is the only person that will take them to the promised land.